The book attempts to address all relevant political information that the chronicles report on Vladimir Monomakh. The events are examined in chronological order in imitation of the method used by the chronicles. It is hoped that this method of presentation will give the readers a clearer understanding of the relationship of the various events, such as succession rivalries, territorial disputes, and treaties. From the time of Yaroslav’s death in 1054 to the first half of the 1240s, of all the dynasties, Vsevolod’s descendants most consistently wielded political supremacy. In large part, the groundwork for their success was laid by Vladimir Monomakh. In addition to being blessed with good fortune, Monomakh exercised exceptional foresight, ambition, and political acumen. To date, however, no comprehensive study has been written concerning the dynasty as a whole. This study proposes to fill that lacuna. This book is addressed to scholars and students of the history of Kievan Rus′. It proposes to introduce students to the princely dynasties of Kievan Rus′ and to the problems that the princes of these dynasties faced, such as succession in an orderly manner. It also provides a detailed examination of these problems for the mature scholar. Martin Dimnik is Fellow and President Emeritus at the Pontifical Institute of Mediaeval Studies, Toronto, and Professor of Medieval History at the University of Toronto. 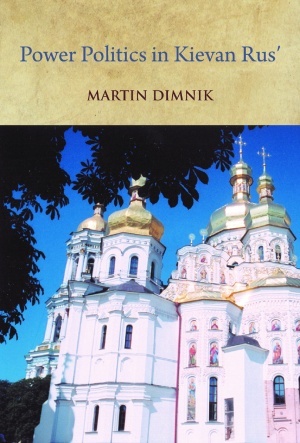 His books include Mikhail, Prince of Chernigov and Grand Prince of Kiev, 1224–1246 (1981), The Dynasty of Chernigov, 1054–1146 (1994) and its sequel The Dynasty of Chernigov, 1146–1246 (2003) and, most recently, The Apocrypha of Adam and Eve in Russia: The Forbidden Fruit (2010). He has also published numerous studies on a range of other topics, including biblical and scriptural studies and numismatics.